Peter John Falco, loving son, father, and brother, passed away on Saturday, April 6th, 2019 at the age of 65. Peter was born on January 15th, 1954 in Mount Vernon, NY to John Peter and Frances Falco. He was a star baseball player at Mount Vernon High School and he continued to play during his years at Holy Cross College. He graduated with a BS in Economics and worked as a corporate insurance account executive with the same company for over 35 years. Peter will be remembered by friends and family as the life of the party and by countless nicknames including Petie, Pistol Pete, Peddling Pete, Fox, and Falc. His fun personality attracted friends wherever he went and many of his closest pals have known him since grade school. In fact, Peter was with several of these friends just a few weeks ago during a trip to Vegas. His mother fondly recalled Peter as a kind boy who would send flowers to his mother and sister every year on Valentine’s Day. She cherishes a note he wrote her on Mother’s Day when he was just eight years old thanking her for playing games with him while he was in the hospital. He shared his love of music, old movies, and sports with his children. Peter was so proud of his kids and always supported their passions. He took JP to see Eric Clapton live when he was learning to play guitar; he coached Allie’s travel league softball team; and when Jaime started teaching spin classes, Peter was right in the front row. He is survived by his mother Frances, his sister Jeanine, his children Jon Peter (JP), Alexandra (Allie), and Jaime, the mother of his children, Shelly Falco, and his girlfriend Jackie DiNardo. Peter was preceded in death by his father, John Peter. 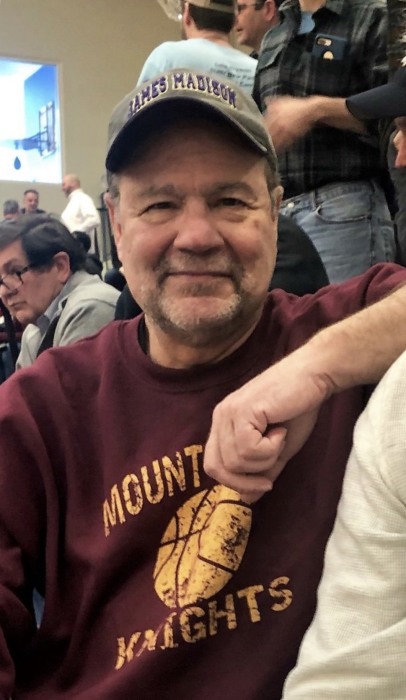 In lieu of flowers, nothing would make Peter happier than his friends and family showing their support for his hometown team by making a donation to the Mount Vernon basketball program. All funds collected on the GoFundMe page will be passed along to the Mount Vernon Knights basketball program in Peter’s name.